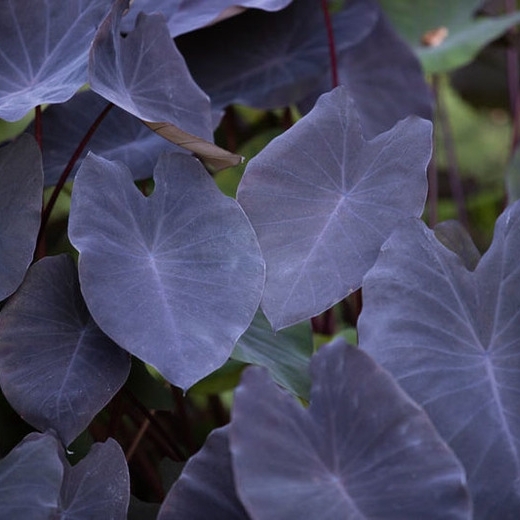 Large bold, dusty purple/black foliage that contrasts excellently with bright colored plants. 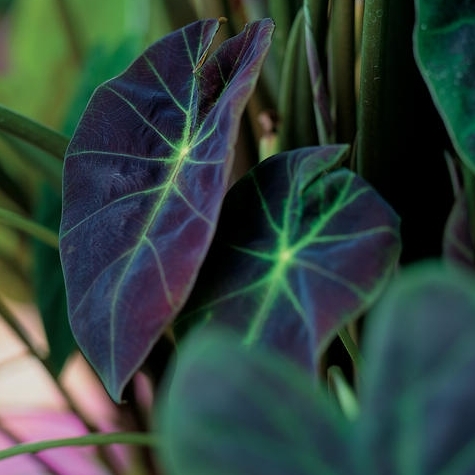 Spreads freely in wet soil while adding bold colors and a tropical touch to your garden/beds. Illustris has dark leaves with dramatic green venation. It loves wet conditions and will thrive in mostly shady areas.